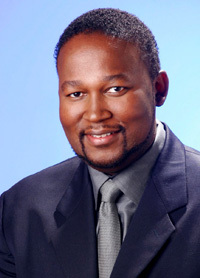 Bongani Bingwa`s career as a journalist began in 2005 on Talk Radio 702 as a News Anchor and quickly progressed to hosting his own show Talk At Nine. He is a recognized industry leader and was highlighted among a select few journalists and media specialists for Vanity Fair's July 2007 Africa feature. Bongani Bingwa`s experience includes being an anchor on the Oscar Pistorius Trial Channel and covering major African stories from the Nairobi bombings to the Nelson Mandela funeral and human trafficking in Nigeria. Not a few wrongdoers have come under the glare of his probing questioning for the show. Bongani Bingwa is a much in-demand MC at corporate functions. From the Gary Player Invitational to the Discovery Leadership Summit (four years running 2010 - 2013) to the Inyathelo Awards (the last five years) - he has hosted events for some of South Africa's biggest corporate names including FNB, Standard Bank, MTN, the CSIR to mention a few. Bongani Bingwa has also facilitated discussions at major conferences, spoken at government and charity functions. He has conducted on-stage and camera interviews with international figures such as Thabo Mbeki, Tony Blair, Al Gore, Rudi Giuliani, Graca Machel as well as CEO’s and other leaders in various fields. Bongani Bingwa was educated at Wits University where he studied for a Bachelor of Arts majoring in English and Political Studies. He has completed various Youth Development courses and he is a strong advocate for youth advancement and mentorship. We have the very BEST in Entertainment for your function or event.